My art falls into four themed collections: Beach; Cityscape; Parks & Landscapes and Architectural Icons. My design process begins with a photograph I take on my travels, sketches and colour moodboards, before I hand draw with a digital pen and tablet. My art is intricately detailed in a distinctive style that combines striking shapes, eye-catching colour palettes and the use of tiny stripes to highlight architectural features. 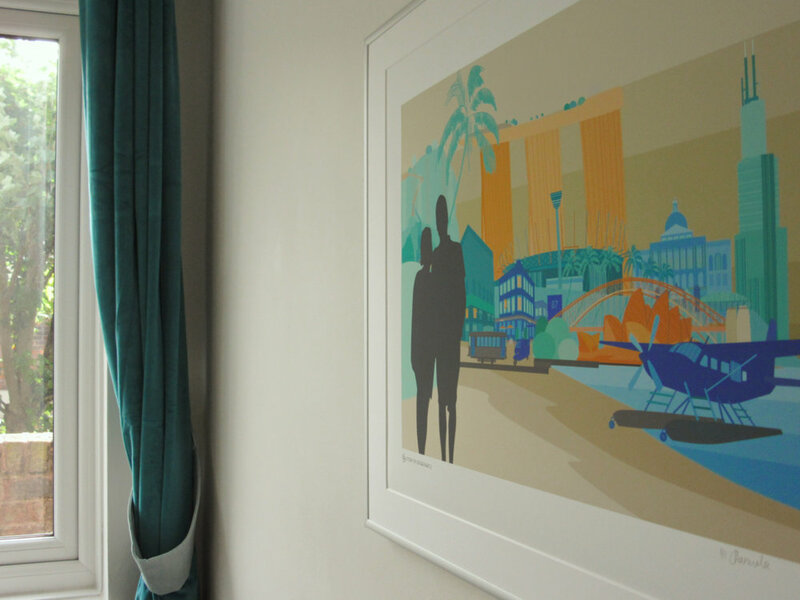 My prints are produced in limited runs of 20-60 per size / colour scheme. They are professionally printed in the UK on museum-grade fine art paper, using Fine Art Trade Guild approved equipment and archival inks. I match my colours to interior paint brands to create evocative schemes in harmony with your home. Prices range from £14-£45. I design all my homeware, which is manufactured for me in the UK by small to medium sized businesses, in small quantities. 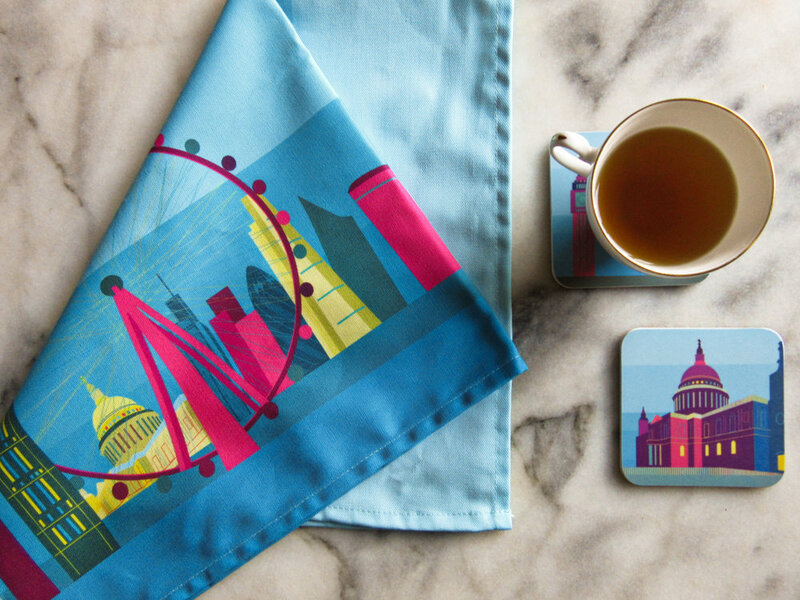 Made from melamine with a synthetic rubber backing, my coasters and placemats are both practical and contemporary with a hefty weight and extra grip, whilst also being washable. My tea towels are 100% cotton. Prices range from £7 for single pieces to £60 for gift sets. 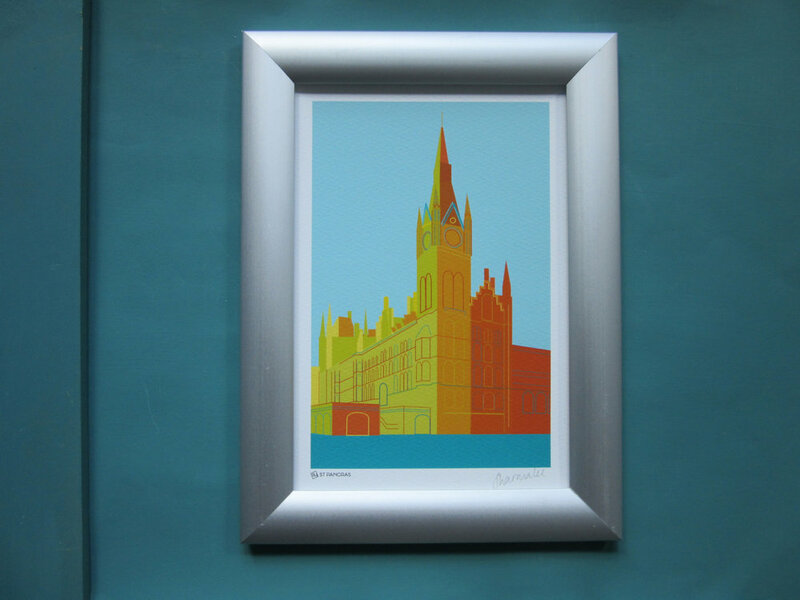 Any of my Ready-made designs can be customised to match your home colour scheme.